The book is aimed at musicians and music industry workers. I spent the past decade in the industry as a touring musician, talent buyer, and editor at a monthly music publication in Denver, Colorado. Currently, I manage a digital media agency called Inkwell Media Services. 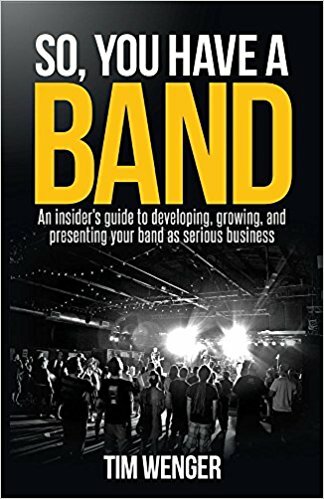 The book shares the authors experiences from across the music business with the goal of helping young bands and artists put their best foot forward and proactively progress their group. I’ve given many talks in schools and at events around Colorado about the music business, and the book is an expanded, written-down version of my general talking script. It is available at all online distribution outlets as well as in paperback. Booking and promotion, social media, approaching print and digital media outlets for coverage, inter-band agreements and business best practices, and executing DIY tours are among the topics covered. Democrats on Remove Trump from Office Bill announced yesterday centers on the controversial "Tweets" on President Trump making a case for him to be fit or not for the Office of the President. Freshman Representative Jamie Raskin (D-Md.) introduced the bill to the House in April. But more of his peers have signed on to the legislation in the past week, after a series of Trump’s tweets that gained widespread attention and criticism. Quoting from the Newsweek article, "The Hill reported Raskin saying that Trump’s tweets show a pattern of instability that means he is unfit for office. Two of Trump’s tweets last week about the hosts of MSNBC’s Morning Joe drew widespread criticism, even from some Republicans. The president on Thursday wrote that host Mika Brzezinski “was bleeding badly from a face-lift,” and stated that he stopped watching Morning Joe, a show he was friendly with during his election campaign". The other way the democrats are trying by the house lawmakers have expressed their beliefs that Trump should be removed from office for allegedly engaging in obstruction of justice by firing FBI Director James Comey in May during the agency’s investigation into Russia’s interference in the 2016 general election. There were 3 US Presidents that went through the impeachment proceedings in the House but till this day, no US President had been impeached. The closest that could have been but resigned prior was Richard Nixon. While it is true what Congressman Raskin stated that no one is above the law not even the President, the fact lies the supreme head of state is the President. 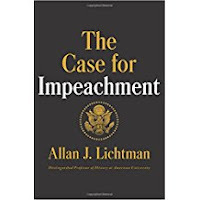 As such it will be such a long ordeal and complicated process to eventually enact the impeachment. Although I've never seen in my lifetime an Impeached President, what I've seen are coup d'etat or military revolts in selected countries. These countries would have not had the full democratic principles as the US or in some corrupt nations or those with so called tyrant rulers these were the best options to make a change in leadership or government. Whatever the scenarios, time and time proves the best is be vigilant right from the start during the elections. Going out and voting is essential as when the election is over the people have to accept the results until such time it can be proven that the elections were tampered or in this case trying to prove the elected leader is unfit for office. That fact of the matter is that President Trump is the first modern day President talking direct to the people almost daily using social media's "Twitter". For Trump supporters, he has outlived any sitting Presidents by cutting through the red tape on being in touch directly with the people. As such, although the respective tweets can be evidential for the case of being unfit, the pros may be beneficial to his defense. This bill I foresee to be extremely extensive and will take long in making such a case it's trying to prove. If this was an age that the President is the only person having access to tweeting amongst any other politician then yes the evidence is an exhibit for the judiciary. The fact is that almost any politician nowadays is also tweeting. Whether said tweets are good or bad, whether they are leadership like or not, social preneurs calls it branding or sometimes marketing. As for now I call this, " The New Age of "TWEET" Impeachment" a cliche until we see the outcome.